Here in this Crete postcard we now live in, life is full of amazing faces and places. Just last week I was driving the family back to Heraklion from a visit to Melidoni Cave in Rethymno Prefecture when I realized that we live inside a picture postcard here on Crete. The word “fabulous” does not begin to describe the beauty of this place and its people. And for vacationers looking for that ideal “bucket list” destination… Well, the hotels, villas, and resorts of the island are just that memorable. Today, I thought to share a few of the best that we’ve had personal experiences with. Maybe these suggestions will help you visualize yourself inside your own living postcard. Situated in Georgioupolis, Crete, along one of the North Coast’s most impressive beaches, Anemos is a brand-new family resort I’ve reported on previously. This fantastic five-star vacation stay became a bit famous for having hosted recuperating Russian cosmonauts, but successive droves of excellent TripAdvisor reviews tell the resorts success story too. 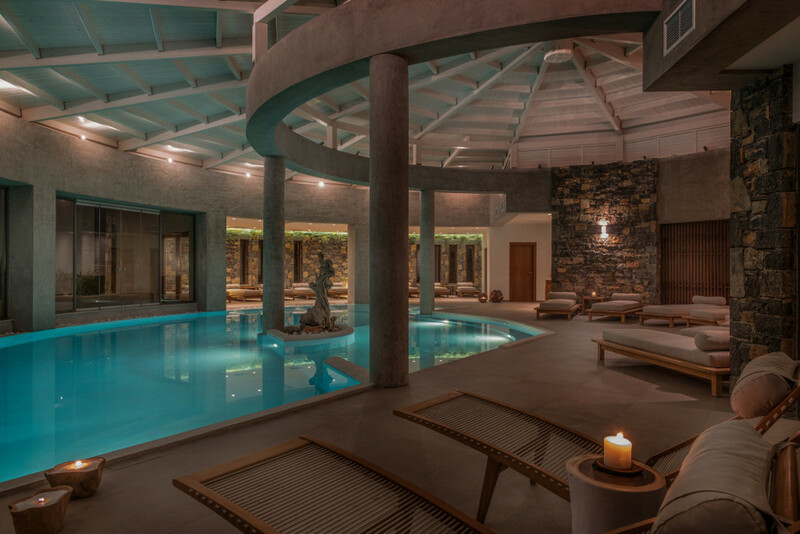 From my experience, Anemos is not just one of the top resorts in Crete, but in all of Europe. Elegantly appointed, Anemos has many focal points to pamper even the most discerning guest. Visually, and comfort wise, the wonderful outdoor freshwater pool is surrounded by different themed relaxation areas equipped with daybeds and sun loungers. The resort’s spa and world-class therapists add still more pampering bliss. A stunning array of room types include; deluxe, family, maisonette, bungalows and roomy – suites begins the hospitable offering here. Six restaurants including the Ostria, Mediterranean seafood restaurant tantalized the guest with gastronomic perfection. But best of all, in our experience, the warm and professional staff at the resort outshine any luxurious accouterments. The surprise bonus: Anemos is situated in an idea location with regard to outward attractions. Georgioupolis is just minutes from Chania, and Souda Bay to the West, and a the resort is a stone’s throw from wonderful Rethymno and some of the most amazing villages and historic attractions on Crete. 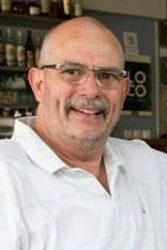 Address: Kavros Apokoronou – Georgioupolis, 73 007 Chania, Crete, Greece. Most vacationers do not realize how temperate Crete’s climate is, let along the fact Christmas is one of the best times to visit the island paradise. We discovered this first hand last Christmas when we joined friends outside Ierapetra at Ostria Resort & Spa for a special Christmas village event the owners organize each year. Luxuriousness alongside practicality and downright fun, this is how I describe the place to friends. Situated right on the Libyan Sea a few kilometers outside Europe’s most southernmost city of Ierapetra, Ostia gives you the impression it is a luxurious city all its own. A massive report I called “A Siga-siga Christmas in Paradise” in previous reviews, the place is the ultimate vacationer’s playground. Highlights include the Kallisti Wellness and Fitness Spa, the several restaurants including the Maestro and Thalasso, the Ostria Water Sports Centre, and many more memorable experiences. The surprise bonus: Ostria is one of the best values on Crete. A four-and-a-half to five-star family resort in every respect, prices during May are as low as €129 euro per night. The bad news is, availability is very limited as the resort is almost always booked solid. For business travelers or those looking for economy with an ideal location, The Marin Dream Hotel is one of the best on the island. 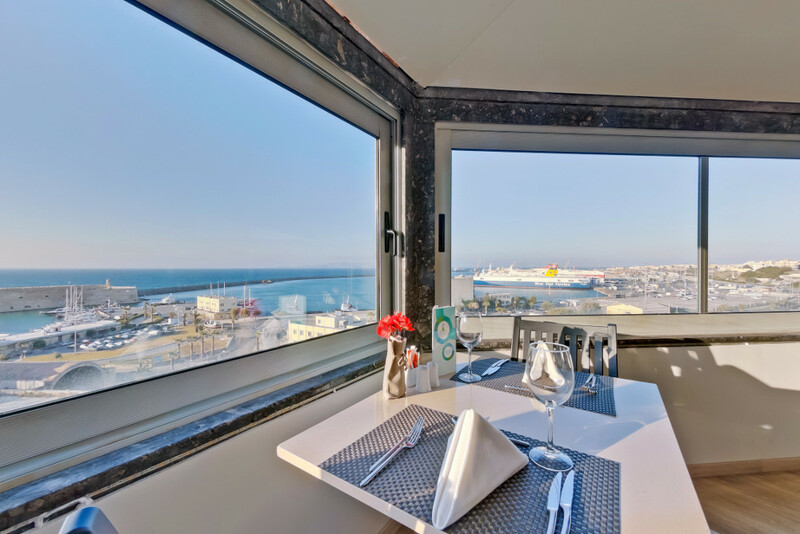 Situated overlooking the Goules Venetian Fortress in the heart of Heraklion, this hotel really lives up to its name. Newly renovated, the Marin Dream offers an unparalleled view over the harbor and proximity to everything of interest in Crete capital. The surprise bonus: The Marin Dream is surprisingly inexpensive compared with many other similar accommodations. At €66 euro on TripAdvisor currently, it’s a bargain considering the level of service and location. The view from the rooftop is stunning. For those unfamiliar with the wild and beautiful East of Crete, the city of Sitia is a kind of hidden gem of paradise. Situated on the Cretan Sea, this small city lies east of Agios Nikolaos and northeast of Ierapetra. The economic center of the Lassithi prefecture, Sitia has a kind of natural mystique that is indescribable. 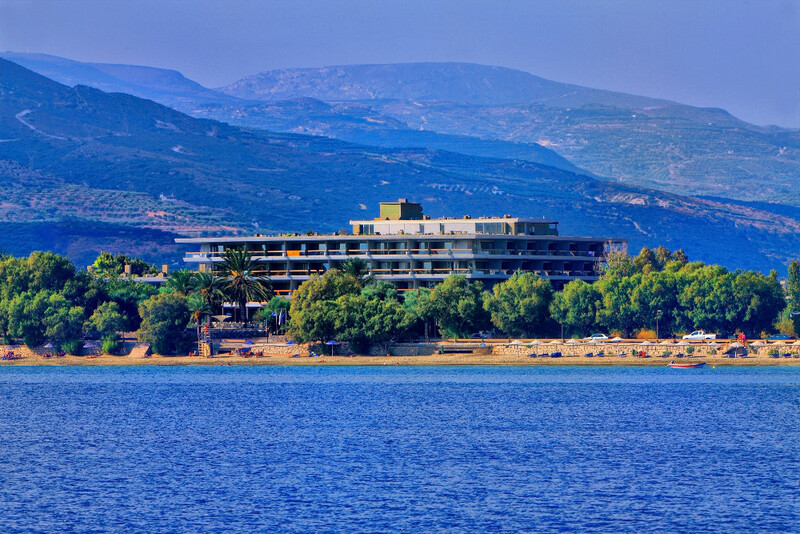 As for the Sitia Beach City Resort & Spa, it is the only true five-star experience in this part of the island. The hotel sits right next to the city sandy beach, and it’s centrally located just steps from the city center. The surprise bonus: Again, a Crete hotel offers unbelievable value. Sitia Beach City Resort & Spa has rooms for as low as €74 euro on TripAdvisor. When you see the grounds and the stunning architecture of this hotel, you’ll understand the bargain. Our son stayed at this wonderful Agia Pelagia resort last year. Built into a hillside overlooking the Cretan Sea, the Blue Bay Resort Hotel is a four-star family resort with shiny diamonds for staff. The picturesque location and all the usual suspects are really accentuated by the professional people who welcome guests. Looking at the reviews on TripAdvisor and Booking.com, we find one repeat customer after another raving about Blue Bay. Highlights of the resort include the wonderful restaurants and bars (a la carte restaurant Panorama is magnificent), the 4 Seasons Spa, 7 swimming pools, and stunning rooms. Situated just a few minutes from Crete’s capital in Heraklion, Blue Bay is also close to some of the island’s most famous natural and historic landmarks. So, if relaxing on any one of several of the world’s best beaches ever gets boring, Blue Bay guests can partake of the Cretan lifestyle, or become amateur archaeologists etc. Here’s what Michael P. had to say about this great hotel. 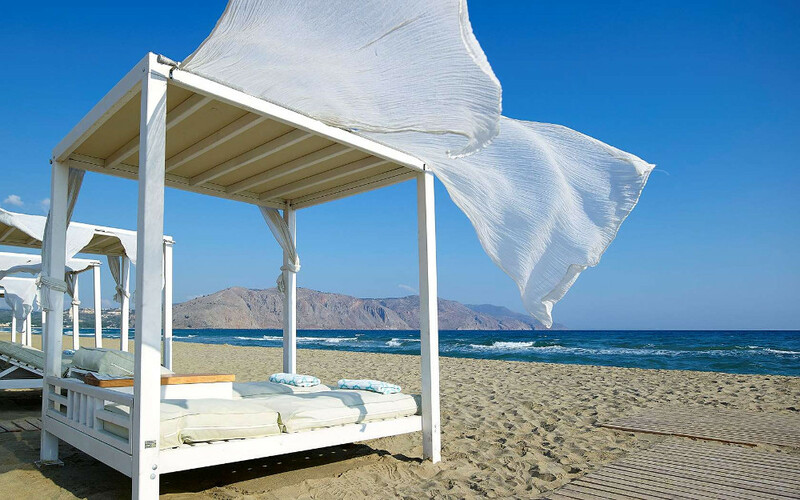 The surprise bonus: About 1 kilometer from the hotel is Psaromoura Beach, which respites the addition of commercial is still one of the most beautiful and fun beaches on Crete. Also, very popular with locals, Ligaria beach is stunning with its coarse sand and calm turquoise water. Here small boats in the bay make for a magical and serene experience.